AMF has signed an agreement with Uganda’s Ministry of Health to fund 10.7 million long-lasting insecticidal nets (LLINs) for distribution in Uganda’s upcoming universal coverage campaign (UCC). The nets are currently scheduled to be distributed from August 2016 to March 2017 (some timing adjustments may occur as a result of final planning) and will protect 19.3 million people. This represents half the nets needed for the nationwide campaign. 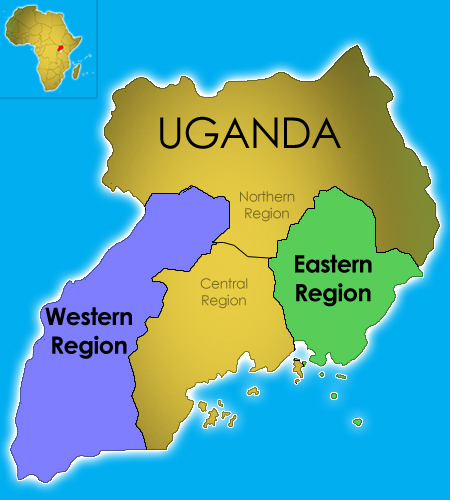 There are four regions in Uganda: Western, Eastern, Central and Northern. Nets will be distributed in all 58 districts in the Western and Eastern Regions to achieve universal coverage (all sleeping spaces covered). Malaria is one of the primary health issues in Uganda, with high incidence levels seen across many districts. These nets have the potential to play a major part in reducing deaths and illness. AMF allocates individual donations to specific distributions so we are able to say these nets have been funded by 67,363 individual donations from 24,044 donors from 108 countries. Every donation, large and small, has made this possible. The National Malaria Control Programme (NMCP) has demonstrated a strong attitude to accountability and this is reflected in our agreement. We are grateful to the NMCP for the open, efficient and transparent nature of our discussions. ‘105%’ data collection will be used for the pre-distribution household-level registration process to support accurate data gathering. This approach is expected to be adopted nationwide by the Uganda NMCP. Household-level data will be put in electronic form. This and the above element combined are the basis for a highly accountable distribution. Post-distribution check-ups of net use and condition (PDCUs) will take place every six months for two and a half years in all 58 districts. AMF will fund this. A portion of the nets AMF is funding will be PBO LLINs. There is some evidence that this newer net type performs better against mosquitoes developing resistance to pyrethroid (the insecticide used on LLINs). This will be the world’s first large-scale distribution of PBOs. We will write more on this in the coming weeks.